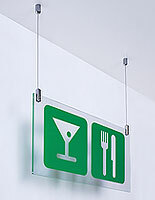 This Hanging Sign Supply For Sale Can Handle All Your Ceiling-Based Installations! 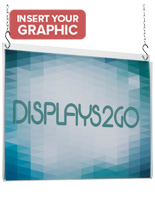 This Sign Supply Is Your Wholesale Display Solution! Buy Online at SignSupplies2Go.com! 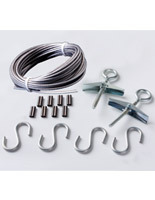 Our sign supply kit is designed to accommodate different ceiling types. 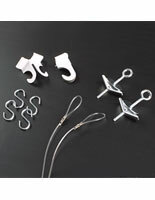 Choose the hanger clips for your suspended ceilings, and the toggle bolts for ceilings built of sheetrock or plaster and lathe. This commercial sign supply for hanging ceiling displays is a sound alternative to wall-mounted graphics, whether in cheap plastic frames, or heavy metal versions. 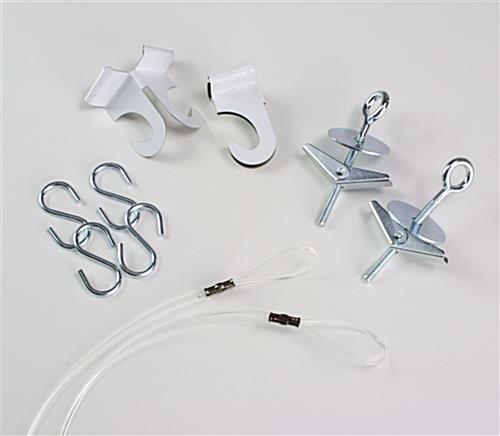 Our ceiling-mount kit gives you a display method that's easy to use, from installation to changeouts. It also produces visually interesting mid-air displays. Companies increasingly order this sign supply set instead of wall frames, because of its capacity for attracting attention on busy sales floors! Suspending your advertisements from the ceiling also frees up strategic floor and wall areas for your other signs or advertising. Both megastores and grocery store chains appreciate the value of this sign supply kit in announcing new product lines and informing customers of the store's layout or of upcoming special events. 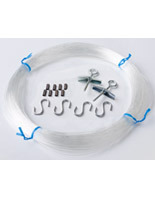 If your location requires longer suspension lines, our company has them for you in other kits!